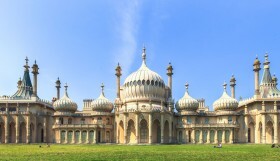 Brighton is unofficially the UK’s hippest city and a love of all things vintage has certainly helped secure that title. Creatively-dressed Brightonians famously express themselves with styles that transcend current fashions, often harking back to signature looks of the past. From sequined flapper dresses, to funky 50s Hawaiian shirts, to the sharpest mod suits – it’s all available off the peg in Brighton & Hove. 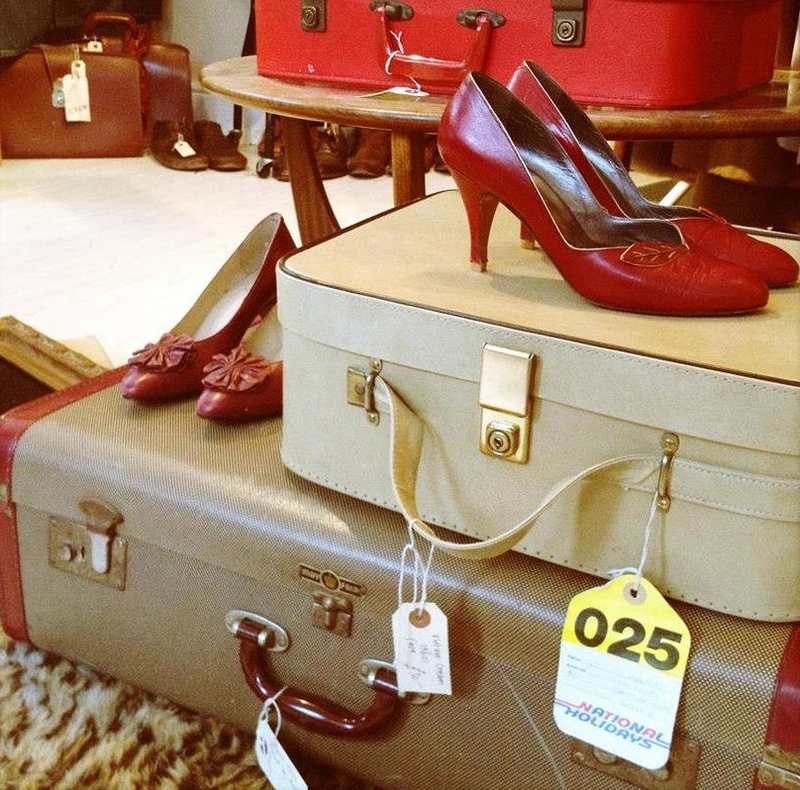 Here are ten trusted sources of vintage clothing Brighton we’d recommend. 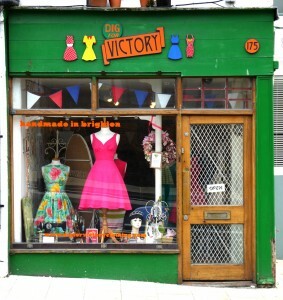 This vast store on Vine Street – once a bus depot – has been delighting retro clothing fans for six years and is incredibly popular with local students, Brightonians and tourists. Store manager Davey Coles says customers snap up original Levi’s, Wrangler and Lee jeans, love the checked flannel shirts and chunky knitwear and 50s, 60s and 70s dresses. 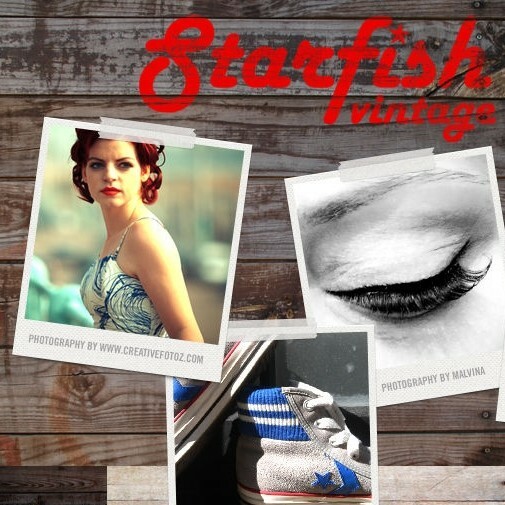 To Be Worn Again specialises in high quality vintage clothing, shoes and bags for men and women. 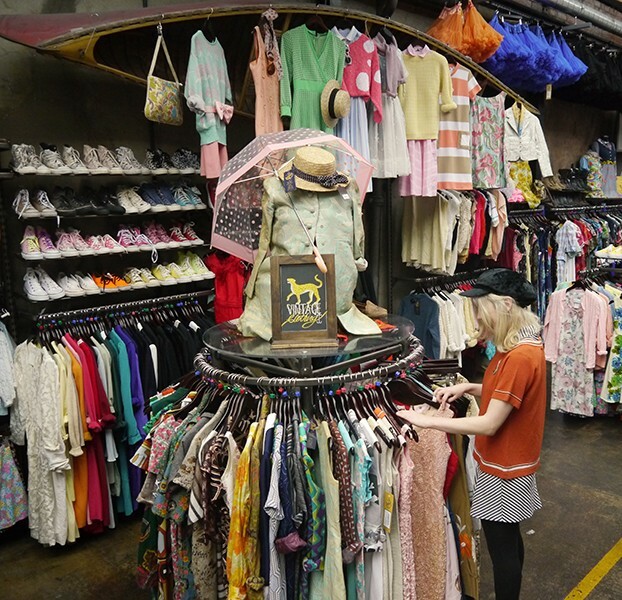 Cool American retro, and British 50s, 60s and 70s fashions are on tap here, with a wide range of sizes and styles across the two Brighton stores – Kensington Gardens and Sydney Street. These bright, buzzy outlets are a haven for lovers of classic cut jeans, lumberjack shirts, tweed coats and original Hawaiian shirts. 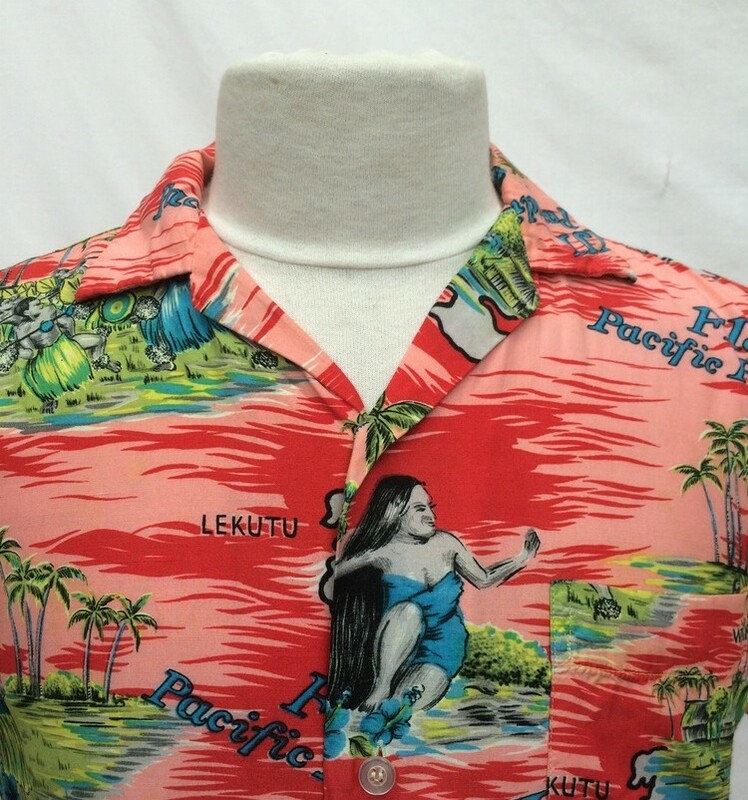 Did you know the first ‘Aloha’ Hawaiian shirts date back to the 1920s? Head over to the To Be Worn Again Facebook page for snippets of fashion history and tips on how to wear vintage season by season. Currently popular are mohair jumpers, tartan mini skirts, cashmere scarves and belted coats. 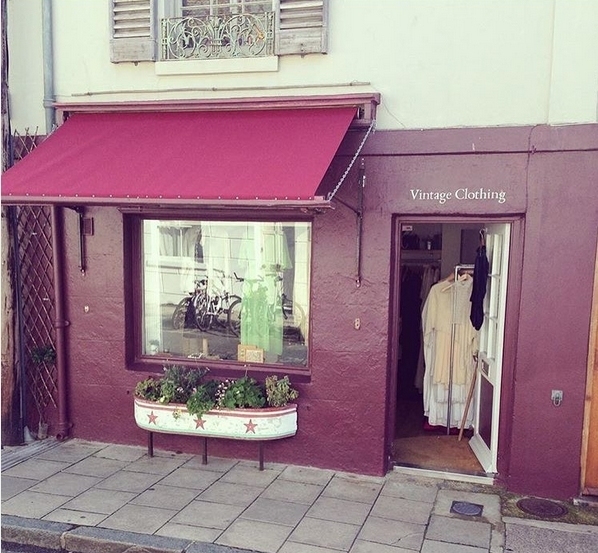 Small but beautifully formed – the Starfish boutique on Gardner Street in the heart of the North Laine offers a lovely selection of hand-picked vintage pieces from the 1940s onwards. Owner Katharine Stone clearly has an eye for beautifully made womenswear, vintage men’s sportswear, leather and suede jackets, selvedge denim, workwear and handbags. Her merchandising skills show off the items to their best, with racks never overloaded, and labels indicating the era and significance of each item. Typically you’ll find vintage varsity jackets (about £80), 1970s long suede coats (£90), original Levi’s jeans (£80 to £130), Ostrich leather handbags and 1950s clutches (£30 to £50). A new website is coming soon! Fashionistas looking to turn heads without breaking the bank should visit this smart little boutique in Fiveways, in the Brighton ‘burbs. 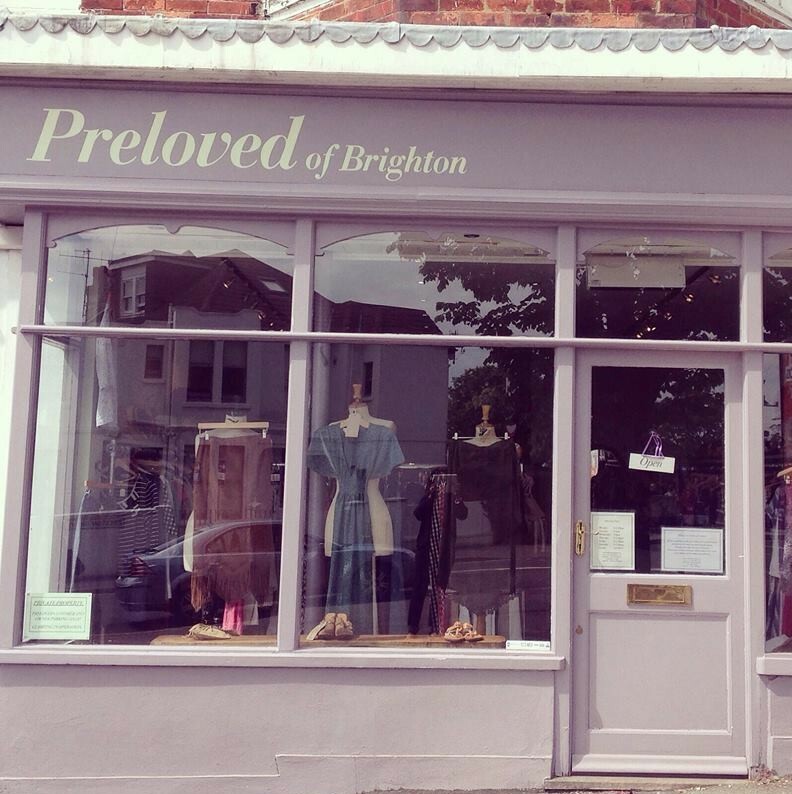 Preloved of Brighton has been trading for two years, selling top quality, secondhand women’s designer clothing and shoes with a nod to vintage. For special occasions like weddings, christenings and swanky Christmas dos, owner Vanessa Wright is on hand to advise and assist. Choose from glam dresses (£40-£70), pretty tops (£15 to £40), and coats (£30 to £60) from much loved labels such as Whistles, Mulberry and Comptoir des Cottoniers. The items on sale are seasonal and arranged by size so it’s quick and easy to choose. Items that aren’t sold are donated to the Martlets charity shop. 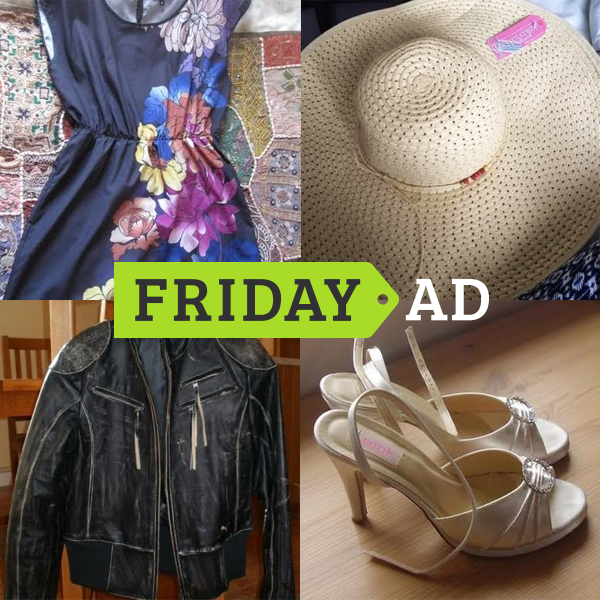 Local classifieds website Friday-Ad has a growing fashion section as buyers and sellers embrace the notion of up-cycling their no-longer-needed items. Passing on nearly new items such as boots, belts and bridesmaid dresses can be a great way to make some cash if you’re refreshing your wardrobe, and for buyers, sourcing low cost clothes or items to tailor to your own style can be a great alternative to the samey high street fashion chains. 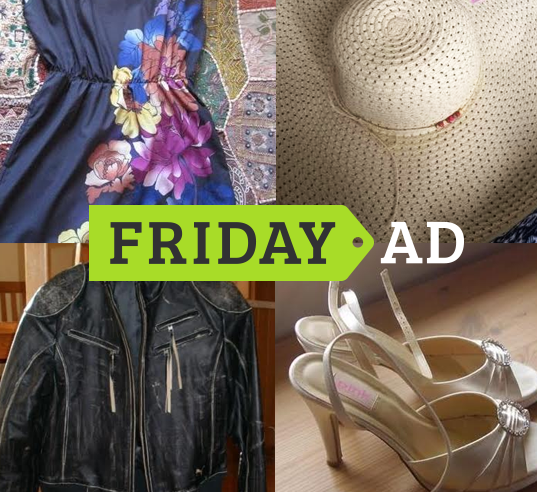 Take time to sift through ads, and remember you could be just a click away from a fabulous vintage prom dress, pre-loved designer handbag or quality cashmere sweater. At the time of writing we found a leather biker jacket for £45, a 1970s kaftan for £20, and a suede mini skirt for £15. A shining star of Hove’s Blatchington Road shopping area, Bobby & Dandy is a haven for those who like to rock a vintage or ‘heritage’ look. Rather than bulk buying their stock, the team hand-picks top quality items from the 1940s through to the 1980s. The resulting range delights discerning dressers who flock from across the south east for a wardrobe that sets them apart from the crowd. Expect an elegant, thoughtfully-edited range that will set your heart racing if you appreciate the fine tailoring and beautiful fabrics of yesteryear. The store opened in 2012 and has attracted much media interest thanks to owner Donna Grimaldi’s appreciation of vintage and advice on how to wear it well. Always popular are the 1950s dresses, faux fur coats, Harris Tweed jackets, brogues and stilettos. Choose a unique off-the-peg dress or have your own vintage-style dress designed, cut and sewn to order. 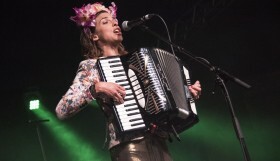 Talented musician and seamstress Eleanor Callaghan set up the Brighton-based business four years ago. She launched a website first and now also runs a small boutique alongside her workshop on Edward Street. Spanning three floors, this Sydney Street stalwart is one of Brighton’s biggest and best-known vintage emporiums. 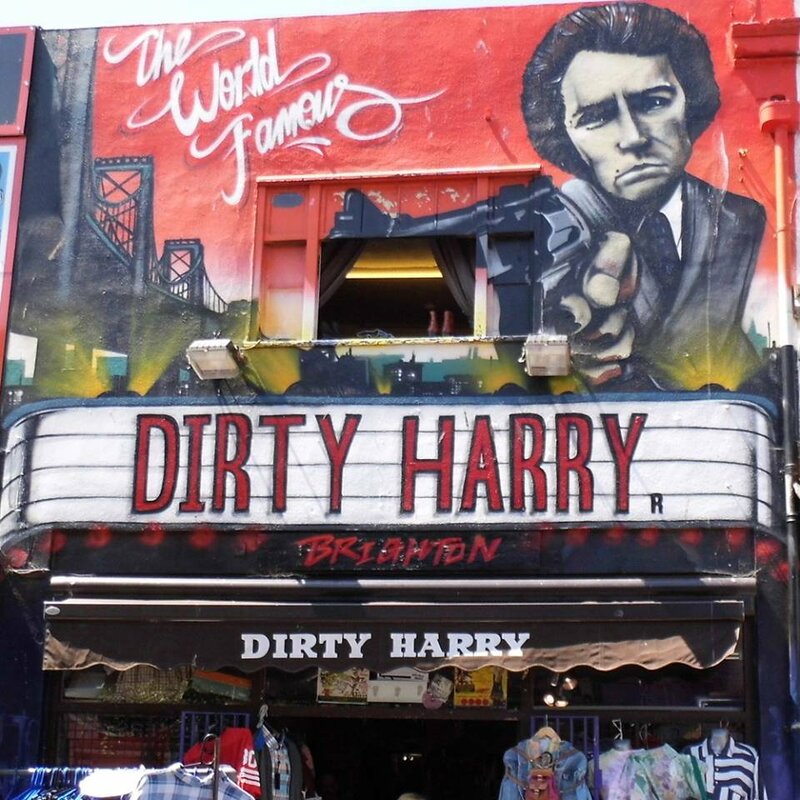 A magnet for trendy urban cowboys and cowgals, Dirty Harry offers rack upon rack of classic checked shirts, cowboy boots, denim jackets, jeans and dungarees, alongside army surplus bags and accessories. The overarching theme is Americana, and there’s a floor dedicated to women’s vintage and upcycled ‘pop’ clothing. Reviewers love the incredible choice, the affordability, bargain rails, and friendly, knowledgeable staff. New stock comes in regularly to replace the boots and parkas that fly out the door every week. Owner Molly Bray worked extensively as a theatre costumier in London and it’s her knowledge and enthusiasm that make this charming shop on Tidy Street so special. Here you’ll find delicate lace garments from the 1900s, exquisite beaded evening gowns from the 1920s and classic 1950s day dresses. Prices range from £50 to £100. Molly’s Vintage has a growing range of vintage bridal wear, shoes, hats, bags and gorgeous jewellery. Upstairs at Snoopers Paradise in Kensington Gardens and you’ll find boho heaven. 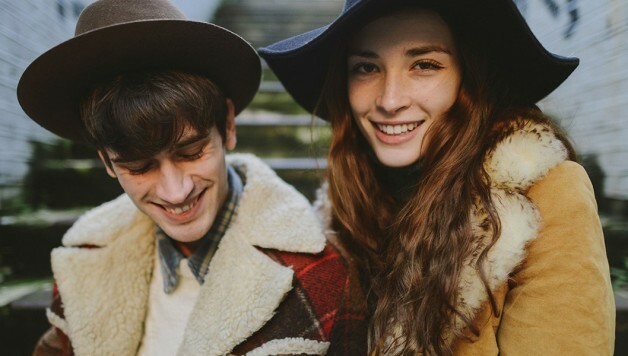 Discover a world of vintage fabrics, feather boas, natty shirts, leather and lace. 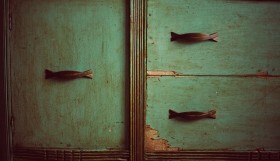 This is Snoopers Attic where a collective of designers literally live and breathe vintage. ‘Blue Moon Vintage’ specialises in Victorian and Edwardian clothes and curiosities – think black lace, sumptuous beading, gothic velvet; ‘Hearts and Guns’ is all about postmodern kitsch in the form of cute mini skirts and repurposed tunic dresses. 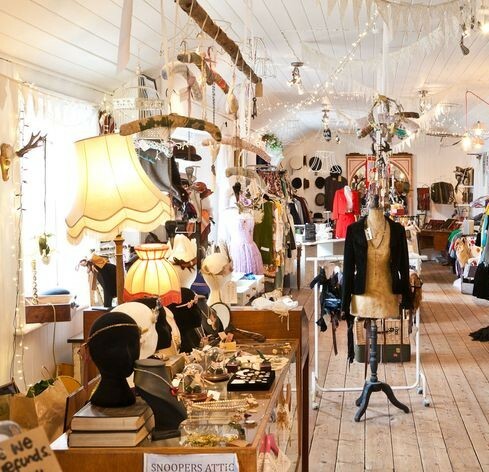 You’ll also find original jewellery, haberdashery and vintage inspired gifts and accessories, and with stock constantly changing, there’s always something new. The only way to fully appreciate this charming den of creativity is to have a snoop yourself!